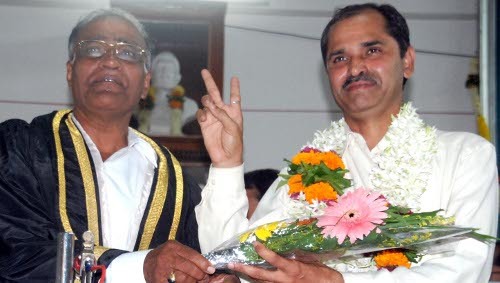 Dhanraj Ranoji Gavali was elected the deputy mayor of Belgaum and he will serve the office for six months. He is from ward No.19. He got 38 votes out of 60 (58 members +two MLAs). Latif Khan Pathan got the 22 votes. Notable point here is both the above stated persons had defected from their original groups for this election. Another CHOR in the POWER! !